We have some exciting news! We are opening a new location in Mansfield TX! Well, we noticed that we have many clients who come to our Allen TX location from the Arlington/Fort Worth area, to see us on Saturdays. These families see us on Saturdays because that’s a day that they can make the long drive and not have to sit in too much traffic the whole way. So after hearing over and over again, “Why are you guys not on the other side of the Metroplex?” we started looking into some things. We did some research and realized that it’s true, we had a hard time finding a clinic of any capacity offering occupational therapy, speech therapy and speech in a model similar to ours. So we understood our families’ frustration, and why they were driving across the Metroplex to see us on Saturdays! Our research showed us that Mansfield would be an optimal place for a new facility, so we got to work on it! We have leased a facility at 287 and Broad, in a little medical area called Fountainview. So we have a facility, and we have plans drawn up! It’s going to be a beautiful facility with two gyms, an activities area and daily living training area, and a grassy area out back. We are so excited! We project that the new Mansfield facility will open around late April/early May 2017. We are going to take the model that we have developed in Allen and in Katy, and take it over to the Fort Worth area! 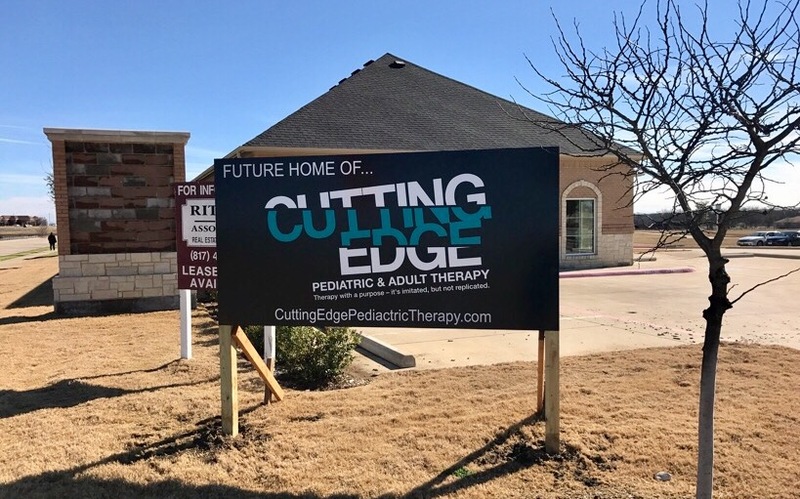 If you want to keep track of our progress in getting the new facility open, please like our new Facebook page: Cutting Edge Pediatric Therapy Mansfield! We are posting updates there, as well as photos of the building. We’ll be updating you on Twitter as well! We are so excited to be coming to the Fort Worth area! Follow us on social media to get the latest updates! Should I Stop My Child From Stimming?